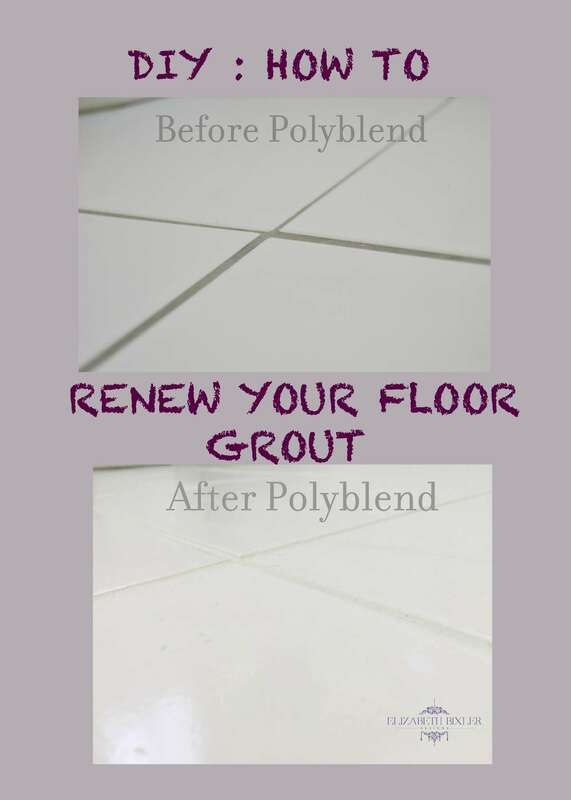 Less grout equals less cleaning the grout which is awesome to me! 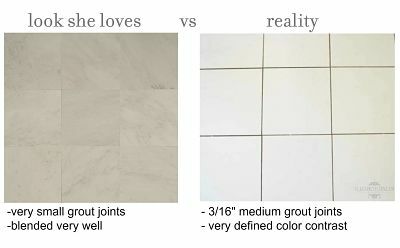 Unfortunately, I can not change the past and the grout line in this particular tile pattern is 3/16″ . 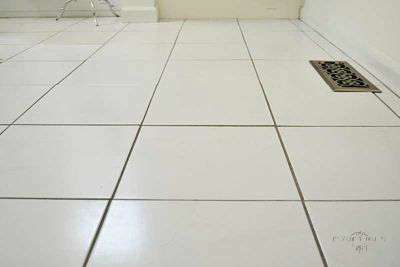 My mom likes her tile to appear blended meaning no grout lines. This will be a challenge! 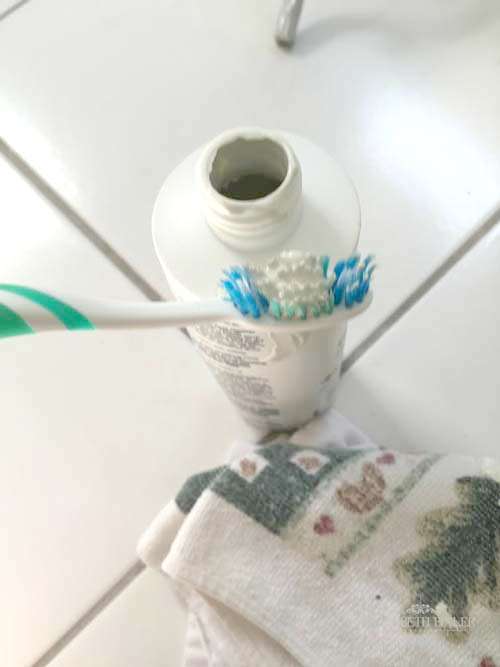 I swept and used a few cleaning products. 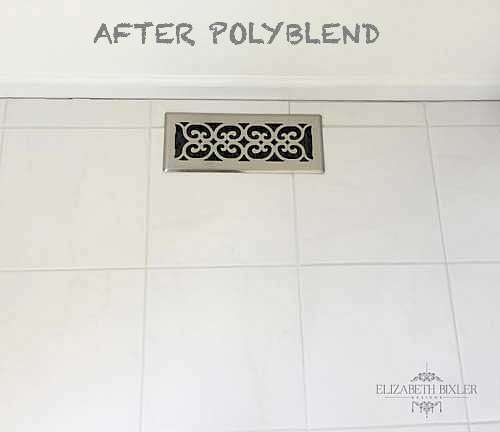 It did not help much, and if you just use the Polyblend, you don’t need to clean anyway. WHAT IS UP WITH THIS?!? 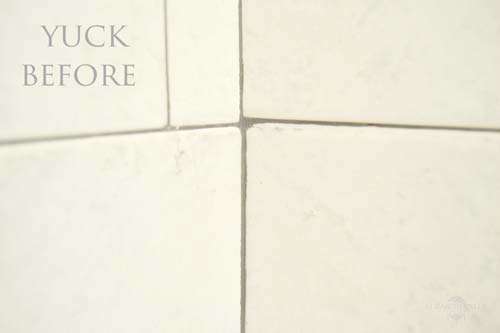 It is stain and sealer all in one! It comes in many colors (I was debating between the Platinum and Snow White) . The main bonus to me is that it looks clean. 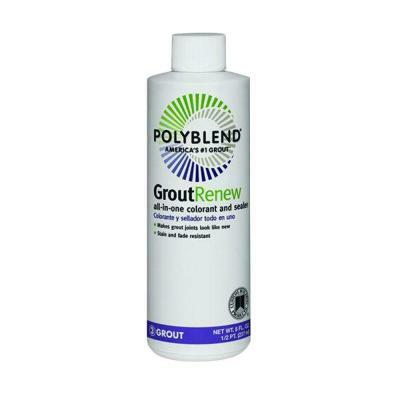 FIY : I did use this product on a ceramic glazed tile. 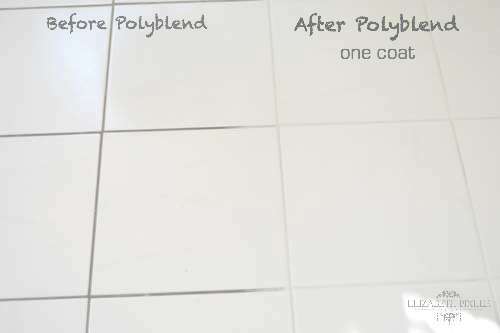 I would not leave the Polyblend on a more porous tile like unpolished marble or travertine. I followed part of the directions but made some of my own. 1. Shake Well. 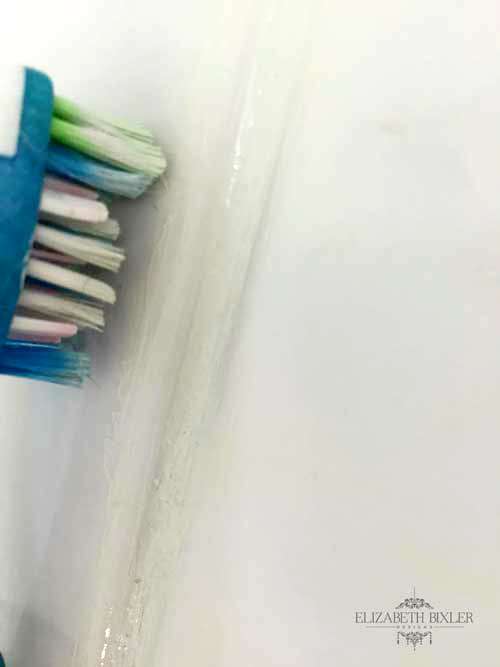 Add tape to trim. 2. 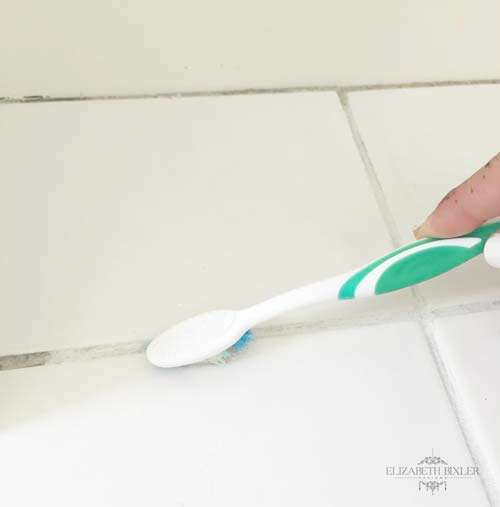 Add one drop on a toothbrush and apply to middle of tile grout. 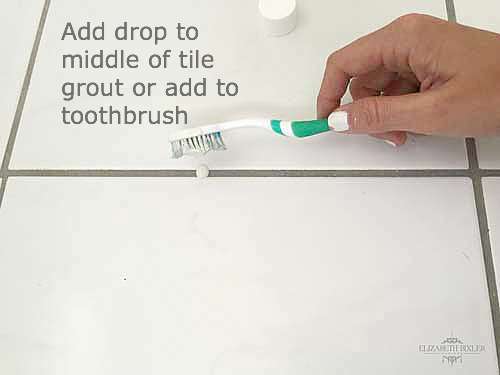 Scrub back and forth (kind of like brushing your teeth). 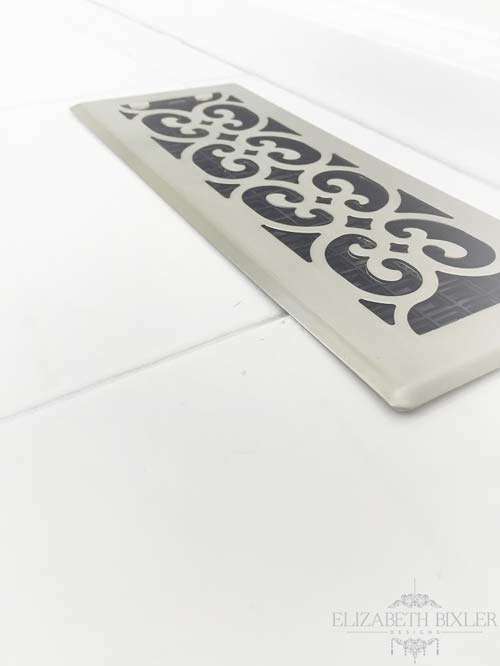 Make sure you don’t add to much in the corners. It starts to look uneven if you do. 3. 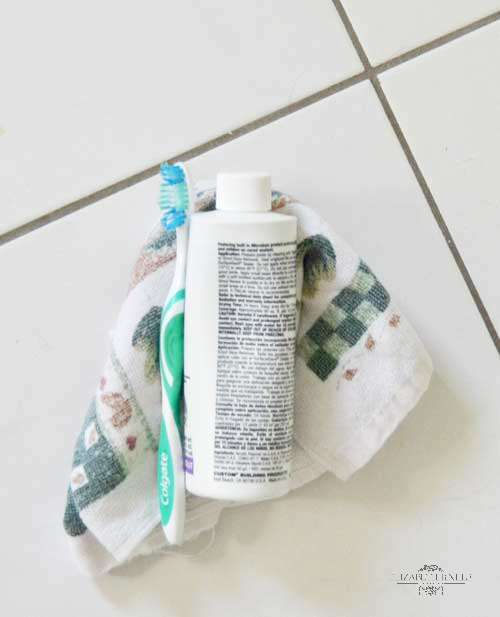 Use damp cloth the scrub off tile – the directions on the bottle say to do this immediately but I waited until I applied all the tile colorant because it was so thin. 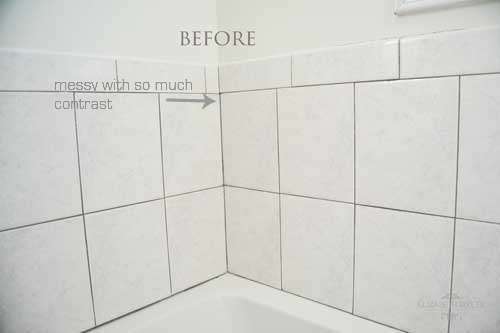 With the color of my tile (white), it was easier to see if I just waited until after I applied anyway. 4. 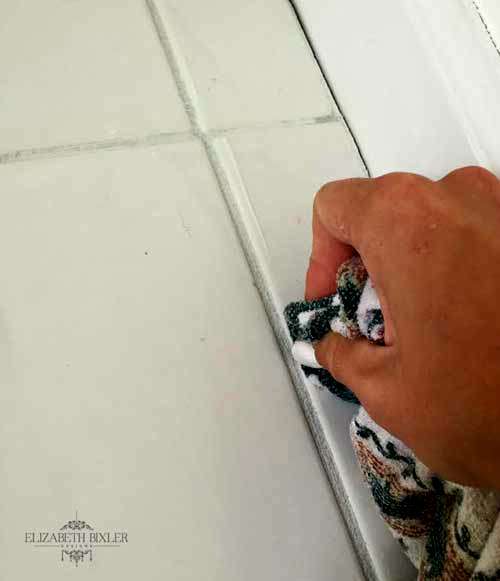 Apply a second coat, and repeat steps 2 and 3. 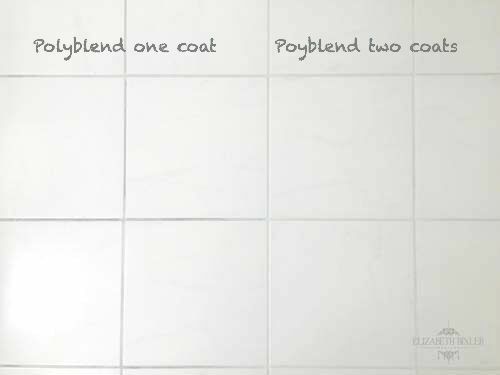 Stain dries in no time! !